How Far is Prompt Nest? 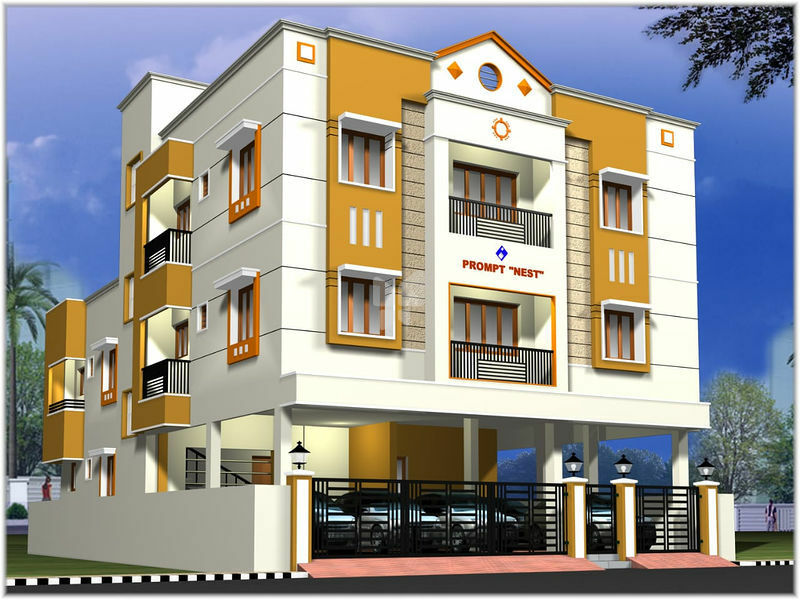 Prompt Nest is the classy residential project comprising 1, 2 & 3 BHK luxurious apartments in Kattupakkam, Chennai. Established by the Prompt Builders, it is a 2- storey building premise with the freehold ownership type. 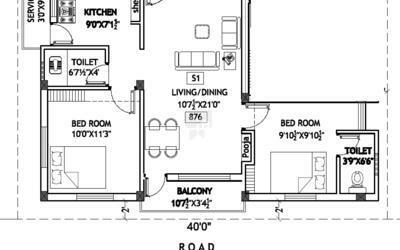 The carpet area of the apartments ranges between 478 & 1090 sq. ft. The apartment is thoughtfully designed with an attractive and elegant look. Beautiful balconies and rooms ensure good ventilation and natural light. You will have a pleasant living experience residing at this premium abode. Situated in a prime location, Prompt Nest is the best choice for working professionals as it provides great connectivity and accessibility. Own your dream home at Prompt Nest for a comfortable living. 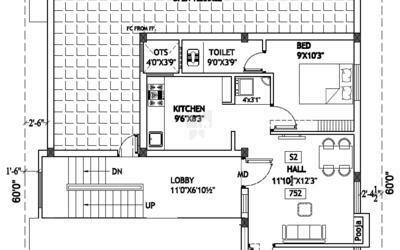 Kitchen shall have cooking platform finished with Black Granite slab and a stainless steel sink of size 24"x 18"
EWC with flush tank in attached toiled, IWC in common toilet and wash basin of size 18" x 12" in dining area and corner wash basin in all baths. One wall mixer point, one tap point, one geyser point in toilet.